The IMMERSA comes in strong and have left a lasting impression. Everything the IMMERSA does, it does well. It has awesome stereo sound that provides strong and precise bass that doesn't muddy the mids or highs. The large padded earcups provide long lasting comfort. It has a retractable microphone that is loud and clear. Finally they look and feel fantastic, with no creaking involved. 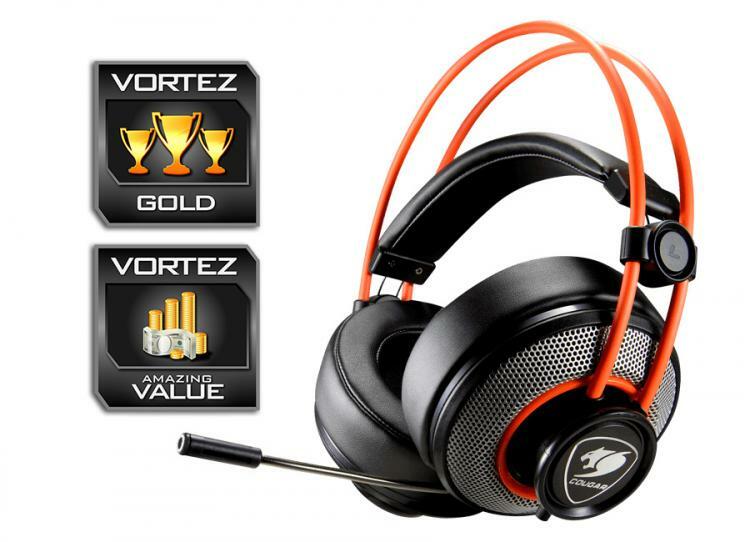 This shows that COUGAR made careful consideration to the gaming market and because of that, they have produced a phenomenal headset that hits hard, not just at this price point. In fact, at first we expected the IMMERSA to be a standard mid-range headset in the £60-70 price point, but its <£40/$50 price almost makes it a no brainer. There are features that some may prefer, such as modular/removable cables and microphone. Though at this price there is little to complain about at all. You could argue that there are some 'good' generic, Chinese manufactured brands selling headsets cheaper in the £20-30 range; this is an argument that is ever present. There are various competing headsets around the same price point including the Bitfenix FLO that can be had for around £30. Despite its excellent value and sound quality, some will argue that the clamp force is high making it uncomfortable for long gaming sessons. The IMMERSA has no such issue with comfort. Another headset that may come up is the SteelSeries Siberia 200, as we have seen it on sale occasionally for around £45. Though the IMMERSA easily matches the Siberia 200 in all aspects and for less, so one would be choosing that on brand preference alone. Overall it is hard to deny the incredible value the COUGAR IMMERSA is offering. They may not tick some boxes such as 'foldable', and they may be easy for your dog to eat, but these are things not even worth considering. In fact, I should just stop writing and finish with: WOW, these are good. Gamers will want to pay attention to the COUGAR IMMERSA because it is a top quality and comfortable headset that won't make your wallet cry.